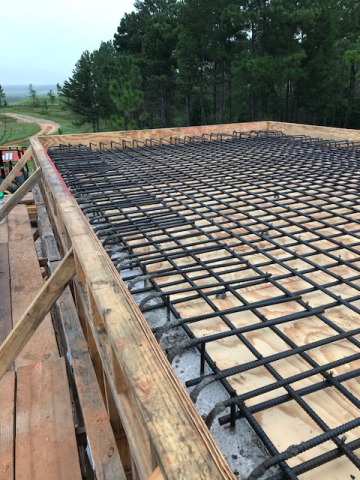 Shows, Dearman & Waits, Inc continues to aid the Mississippi Military Department with the design and construction engineering services of firing ranges at Camp Shelby Joint Forces Training Center located near Hattiesburg, MS. The most recent project is the renovation of Range 41. This range was constructed many years ago and the current project will provide updated berms, bunkers, electrical and communications systems to allow troops to train for combat situations. The photograph reflects a concrete storage facility under construction designed to withstand artillery rounds while protecting targetry devices.